For this setup, we need to disable SELinux (Security Enhanced Linux) first to avoid bottlenecks. For doing so, just edit the SELinux config file (/etc/selinux/config) as given below. Now we can begin the installation. First we need to setup the ‘epel’, ‘remi’ and ‘nginx’ repos to get the packages. Follow the steps given below for the purpose. We’ll have to setup nginx repo manually. For this we need to create a ‘nginx.repo’ file in the yum repo location ‘/etc/yum.repos.d’ and add the directives ‘name’, ‘baseurl’ etc. Use the commands below. Now that the repos are added, we can install all the packages and its dependencies simply with yum. After this, we need to enable the services (mysqld, nginx, php-fpm, memcached) in chkconfig for auto start after reboot. Memcached is installed for caching the static contents like images etc. The above given steps downloads the pagespeed module archives and exctrats it in the installaion direcory. Before installing the package, delete all the already compiled object files with the command given below. This to clean up all the failed make, if any. After cleaning up, we can configure package with the necessary extensions, data directories etc. Here is my configuration. Installation is now complete. Now we will have to create Nginx core and tmp directories. Now we will have to start the services manually. One last thing to do is to set password for the MySQL root user. You can use the command below. With this, Nginx with PHP-FPM and pagespeed installation is complete. We’ll now move on to configuration of Nginx and wesite configuration with Nginx. 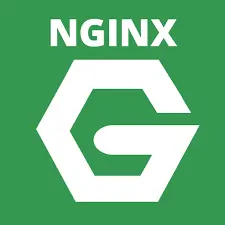 In the above given Nginx config file, there is an ‘include’ directive with which we can include other files into the configuration. In our setup we are creating separate conf files for each website to specify its VirtualHost. Here is a sample of website conf file included in the Nginx configuration. The conf file shown below is ‘/etc/nginx/conf.d/domain.conf‘, where domain.conf is the conf file of an example domain/website. This entry was posted in Apache, iptables, Linux, memcached, MySql, nginx, pagespeed, php-fpm, server management, Uncategorized, Varnish, WordPress, yum and tagged faster hosting, high performance server setup, install Nginx PHP-FPM MySQL, install Nginx PHP-FPM MySQL with pagespeed and memcached. Bookmark the permalink.